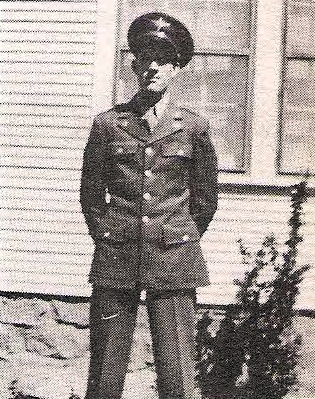 Aviation Cadet Donald W. Holman, son of Mr. and Mrs. M. R. Holman, Seymour, husband of Patsy Robinson, graduate of Seymour High. Entered AAC, 1942, trained in San Antonio, Texas. Discharged in 1943.